The Lifemax Wireless Video Door Phone means you can see who is visiting your home aswell as being able to speak to them. 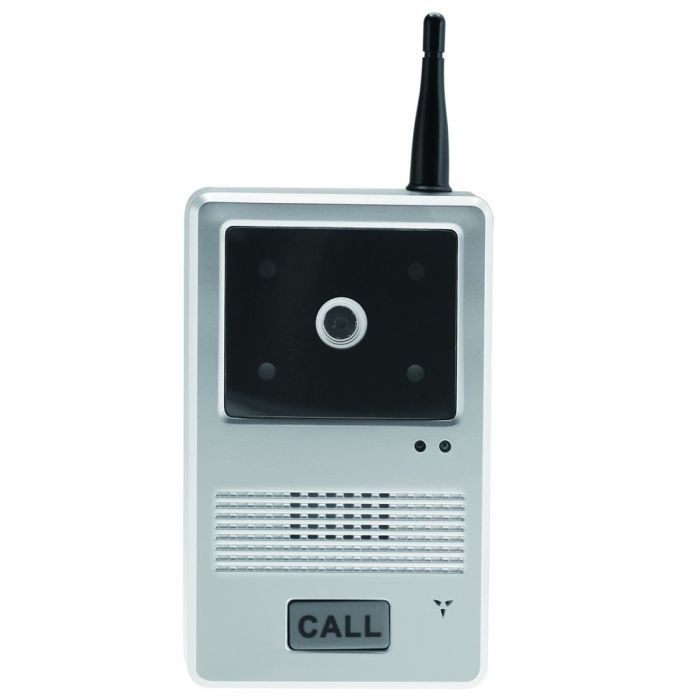 The full colour wireless video door phone allows you to clearly see who is visiting. The Wireless video door phone is water resistant. The doorbell will take pictures of the last 20 visitors you receive so you know who has called while you were not at home. Wireless operation range of up to 450 feet (137 metres). The receiver is rechargable and will work in all rooms in your home. Can also work in your garden! The digital system is 2.4Ghz that gives a clear video image on a large 2.4" colour flat screen. The video door phone is supplied with a charging dock and fixing bracket. Also features a built in night-vision camera so you can view vistiors day or night.